The Maltese health care system is paid for by the public and it dates back to 1372, when Malta had its first functioning hospital. The Knights of St. John arrived in the country in the early 16th century and quickly established building hospitals as one of their primary concerns. Today it has a publicly paid health system where medical services are provided for no charge at the point of delivery, as well as a private healthcare system. The nation has a strong tradition of GP led primary care, and secondary and tertiary care is also provided by the public hospitals of the country if needed. Foreign residents are advised to obtain private medical insurance by the Maltese Ministry of Health. World Health Organization’s global healthcare ranking marked the nation 5th in the world at the turn of the 21st century, which is a great result taking into comparison other countries. For example, the United States and the United Kingdom ranked 37th and 18th respectively, which illustrates the quality of the Maltese system. Similar to the British health system in style, the Maltese health system ranking 24th in 2014 and climbed to 23 in 2015 in the Euro health consumer index. The Maltese health care system is very well-respected, and residents are able to choose between the private and public systems. The Mater Dei Hospital (MDH), which is locally referred to as just the Mater Dei, is the primary hospital site, located in Msida. It is a general and teaching hospital, offering standard and specialist services. One of the biggest medical sites in Europe, patients are admitted via doctor’s referrals or through the emergency departments. The public portion of Maltese healthcare is funded through taxation. This covers any type of treatment, ranging from pregnancy and childbirth through to surgery and rehabilitation. Eight health centres which provide primary healthcare are available over the Maltese Islands, with seven in the mainland and one on the island of Gozo. Apart from general practitioners and nursing facilities and care, the health centres provide a range of services from proactive to reactive care. They cover a wide range of issues, from gynaecology clinics, ophthalmic clinics, psychiatric clinics, diabetes clinics, podiatric clinics, physiotherapy, speech and language therapy and antenatal and postnatal clinics. In addition, secondary and tertiary care is also offered by public hospitals over the country as well. More and more residents are purchasing private healthcare insurance, which has led to an increase in the volume of private clinics and hospitals. With private healthcare, you have to pay every time you visit the doctor. However, most doctors do tend to work as general practitioners in state hospitals and clinics at the same time. Many locals choose private insurance, making use of the general practitioner and consultancy capabilities on an ad hoc basis, meaning they have to pay each time. Major companies tend to hire private doctors on contracts to attend to the medical needs of their staff as and when needed. The majority of doctors that work in the public system also have their own private practices, which are more lucrative and have better reputations. Furthermore, nearly all pharmacies offer GP services between specific times, with some even providing specialised doctors. This is regarded as private care, and costs around 10 Euros at a time. Patients who require these services are recommended to call ahead to check consultancy hours and to make an appointment if needed. Both private and public systems are presided over by the Ministry of Health, Elderly and Community Care. Expats who move to the country have to pay national insurance contributions to the social security fund like Maltese nationals do. This works out to roughly 10% of the employees’ gross salary, which also applies to the self-employed. EU citizens who are visiting are eligible to use the European Health Insurance Card (EHIC) and receive medical attention from public hospitals and clinics at no cost. The EHIC card provides cover for necessary and emergency treatments, but is designed to serve as a complement to health insurance, not as a substitute. It does not provide cover for travelling costs for serious conditions, injuries or even death. It is recommended that you fully understand what is included in your policy, and remember to bring your EHIC card as a supplement to your insurance. Due to the bilateral agreement that the UK and Australia have with the nation, residents of these countries are able to receive free medical and hospital care for stays of up to a month. For expats who will be residing for over three months, free healthcare can be provided by state-run hospitals and clinics as long as they have the E121 form. This form has to be obtained from your homeland. Once you have this form, it is registered with the Maltese Health Department Entitlement Unit, who will issue you with a Certificate of Entitlement. Citizens from outside of the EU should purchase insurance that covers treatments abroad, and ensure that it covers medical evacuations too as some policies do not. Maltese Health insurance policies bought locally won’t work outside of the country unless you have specifically requested international cover. If you do have a foreign policy that does not provide international cover customised for expats, it may not even be possible to work. Therefore, it is highly recommended to check where your existing insurance provides cover for. 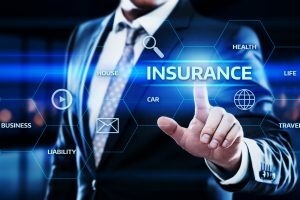 To get international cover, you will have to notify your insurance company that you will be moving and request it, which will likely come with an additional charge. A comprehensive international policy will insure you against medical costs while living here, at home and for medical evacuation if needed. Mater Dei is the primary hospital, founded in 2007 when it replaced St Luke’s as the main public hospital. St Luke’s in Pietà is now the second most important hospital, providing a full range of services including open-heart surgery, transplants, and psychiatric treatment where needed. Other hospitals are available, including the oncology hospital Paul Boffa in Floriana, the geriatric hospital St Vincent De Paule, and the Gozo General Hospital. This is the only hospital on Gozo. The country also has highly regarded private facilities that are equipped with the latest technology in the medical industry. As well as providing care for Maltese residents, these are available to patients around the world who travel to the country for treatment. The independent private hospital St. Philip’s specialises in knee and hip replacement surgeries, and is also a leader in plastic and re-constructive surgery. It is renowned for its use of the latest implant methods and the quality of the joint prosthesis provided. The historic St. James Hospital is the longest running private medical centre in the country, offering a treatments from simple pathological tests through to cosmetic surgeries. The group which the hospital belongs to also own a further four, more modern clinics in the country, including an 80-bed hospital in Sliema with a dedicated eye clinic. Cosmetica is another private hospital that specialises in plastic and reconstructive surgery. Specialist or non-emergency hospital treatments need to be referred by a GP. Older villages and towns in the land provide medical care through their local clinics. There are 47 in total, staffed by administrators that provide prescription medicine, which has to be prescribed for you by the health centres. A GP attends the clinic at a specific time every week to write up these prescriptions and perform routine checks on patients. The CommCare Assessment Unit (CAU) is staffed with nurses. It is in place so people who require community-based care have access to the treatment they need, and to further improve the independence and general health of patients. The CAU assessors attempt to increase community care and the provision of it, and to reduce the inequalities in general care. Despite the undoubted quality of the public facilities, there may still be waiting times for non-emergency hospital treatment. If you are not happy with the waiting times, it is advised to opt for private care. While this requires that you pay extra for the service, you will have the peace of mind knowing that you will receive quick treatment when you need it most. Waiting times for, elective surgeries are among the highest around. For example, patients have sometimes had to wait up to three weeks to get a CT scan, and waiting times in the emergency departments can sometimes last as long as three hours. Most GPs work at health centres, providing the first point of contact for patients all year round, often including nights as well. 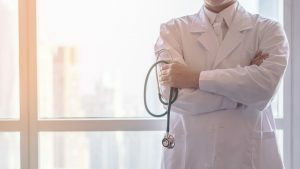 Citizens are not required to register with a doctor in the Maltese system, since the doctor on duty at the health centre will treat them when they visit. For expats wishing to make use of the state medical care, you have to make sure that your doctor is part of the state run scheme. If anybody who is not the public-funded doctor treats you, you are then required to pay the fees that this incurs. GPs offer treatment for acute and chronic illnesses, provide referrals where needed and prescribe medications. In addition to this, they also offer health education and preventive care for patients. You rarely have to make an appointment as the system works on a first come first served basis. Home visits are provided as well by doctors, but these are only available after 8pm and is only provided for urgent cases. The Malta Memorial District Nursing Association does also offer midwifery and community care. The association is registered on a contract basis with the government health fund. With privatised care, you should initially register with a GP based in your area. After this point, any further treatment needed will require you to be referred to specialist doctors by your GP. Senior doctors who have gone on to gain further specialised training are considered as consultants, and they are usually referred to when a patient requires a specialist diagnosis that the general practitioners are unable to provide. Often based at hospitals, they may also attend clinics run by health centres as well on occasion. Emergency dental treatment is provided free of charge if you go to public hospitals or Maltese health centres, but this is not widely available. Most dentists have their own private practices, but do bear in mind that this would count as private care so would not be refundable with an EHIC. Medication prescribed during an inpatient stay or for the initial three days after the patient has been discharged is free of charge, provided you show your EHIC. Any drugs prescribed after this period carry a cost and are non-refundable under the terms of the EHIC agreement. If you have to bring your own medicine for any particular condition, you must have a letter from your GP stating the medication type and the reason it is required. For anything that comes under the controlled drugs category, you must abide by standard regulations regarding the export of drugs. Apart from Sundays, where they open from 9am until 12.30pm (and from 7.30-11am in Gozo), pharmacies generally operate normal working hours. Consultants and doctors are the only people permitted to scribe prescriptions in Malta, and non-prescription medicines are often more expensive than prescription medicines. The Maltese Healthcare System repays any costs prescription drugs incur for you using the public system. There is at least one pharmacy available on every village over the islands. Emergency care is available to everyone, but once a patient’s condition has been brought under control proof of insurance is required. Open throughout the year, treatments are provided in the emergency wards of all hospitals. These services are only to be used if you require immediate attention, if your doctor has referred you, or if there is not a GP available to treat you. The emergency number is 112 which is free of charge.